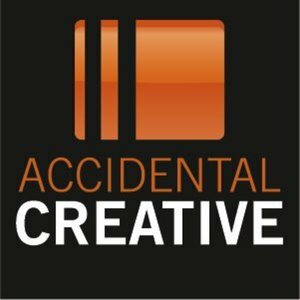 Of the many podcasts I enjoy listening to, I must say that Todd Henry does an amazing job of consistently offering quality content on the AC podcast (AC stands for Accidental Creative). In Lies, Lies, Lies (Yeah! ), Henry shares about taking risks rather than regretting never taking action. Understand what you’re after, and align and structure your life around what that is. Assumptions can become limiting factors to our creativity. It’s important to examine those assumptions, because there could be ideas worth pursuing. Lies that are internalized can hinder us from engaging fully in our work. As you mature, life becomes less black and white and gray areas expand. Comfort is not the goal of life. Struggle gives life its meaning. The creative process is a perpetual assault on the beachhead of apathy. The love of comfort is the enemy of greatness. A scarcity mindset invades every area of life. When you are trying to protect what you have, you lose your ability to recognize opportunities, or you don’t act on the opportunities that are available to you. Be willing to pursue possibility even in the face of discomfort. Everyone – no matter how confident they appear – is making it up as they go, at least to a small degree. Bring yourself fully to your work and don’t be afraid that you don’t have some kind of insider knowledge. You are not your work, and you are not defined by how your work is received. Engage fully and freely and bless everyone you encounter regardless of what they thin k of you. Choose not to be defined by the fear of how people respond to what you create. We fear that risk may result in losing what we have, and that our future could never be as good as our present (I could not agree more; people that say that it will “never be as good as this” are lying to themselves). Don’t look back on inaction with regret. Only regret aggressive mistakes. Make mistakes of commission not of omission. Lies rot your life from the inside out. Reflect on these lies, and think about how you can prevent them from eroding your creativity. Eliminate the barriers that stand between you and potential brilliance. What did you enjoy about this audio? What insights did you gather from it? Did you have any questions? Don’t forget to leave a comment below.